He dusted the gunk off his jacket as he made his first few steps out of the prison gates. His time inside had been quick and easy off a stupid mistake he soon wouldn’t forget. His eyes catch sight of a human leaning against a post in front of the town’s tavern. He looked to be in his mid-30s and well-seasoned as a blade master from the decorative weapons strapped to his body. “I didn’t believe what I heard when they told me you were one of the best. It doesn’t look that way to me coming from the Jasper Pen,” says the human as he points with a toothpick to the prison behind. “I bet you could use a drink,” he continues as he begins walking inside the tavern. “I could use a good thief,” as he disappears into the darkness of the front door. 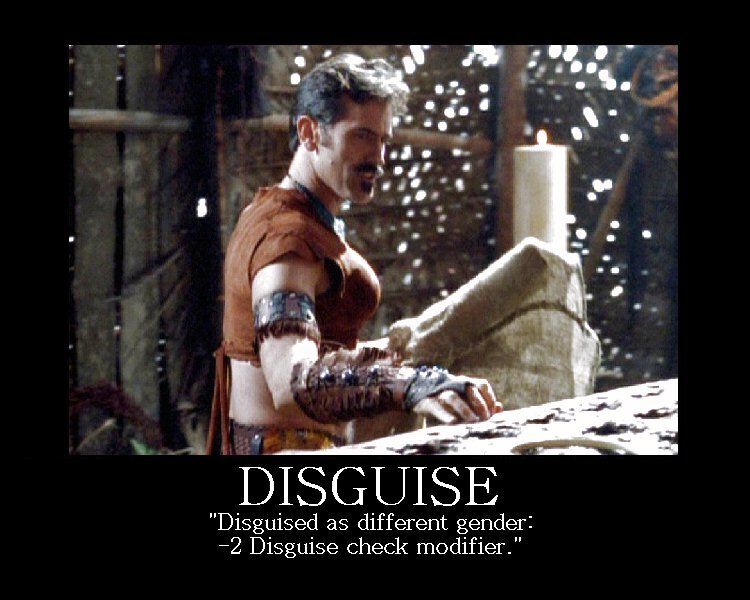 For the most part, it’s unnecessary to say those who play RPGs enjoy creating their characters. But each person invests different amounts of time into preparation. Perhaps they are more interested in combat and focus on starting weapons and armor and less about skills or special abilities. Maybe they spend countless hours handpicking spells to be ready for any situation but doesn’t really care whether he is an educated spell slinger or a hedge wizard. There are players who want nothing more than to fight and gain power to fight more. They won’t necessarily care much about developing their character beyond that. However, no matter what avenue you travel down with your character, if it is going to be played for a length of time, it is important to have enough invested into the character itself to keep the interest strong. You may be playing the character for months or years, so when you get to a point where the character is a veteran in the world you play in, it’s important to want to play the character because it carries interest to you in the long run. With that being said, here’s a rogue I am thinking of as I write this. BACKGROUND: Cyprus was cursed at birth. His father was a cynical tyrant who governed a very small tract of land to which he was ruthless. His pact with a devil to grant him a son, in hopes of raising him to rule with an iron fist like he, led to Cyprus having a portion of devil in his blood. His true father was the devil who made the pact, forcing himself onto Cyprus’ mother. Since then, the devil has shown up periodically to keep an eye on his son, giving him guidance as he grows though it often leads him to getting caught by authorities. Occasionally he will give Cyprus good advice to keep leading him along, and on those high notes he often lives quite lavishly. But Cyprus has lived a dark life filled with espionage, theft, arson, and murder. He is quick to talk himself out of a situation, but he often finds himself stumbling or choosing poorly that has led him to 39 arrests and 15 death sentences. The latter has been avoided from his escape each time, which his skills are fortunately strong enough to allow him to do so, but his time is now short. Multiple bounties are on his head, and his next arrest will be an immediate death without trial. 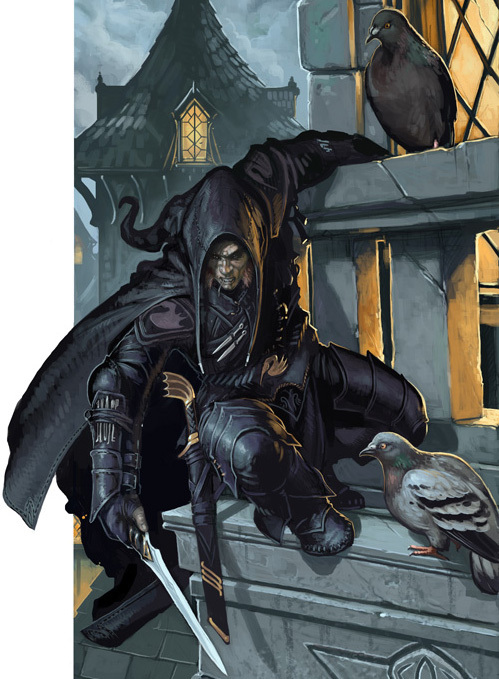 As a result, he has refocused his efforts on his skills of staying alive and keeping unnoticed, hiding in the shadows, and honing his skills in disguise to avoid confrontations. Most recently he has learned of a retired master thief named Klov Wulfenheisen, who decided to choose the isolating life at a monastery. He was never caught in his long and prosperous career, but his reputation as the greatest thief to ever live runs from coast to coast. Although he lives as a monk in peaceful solitude contemplating life’s intricacies, he does offer services of education for an extremely steep price. For one year of total obedient service to him, he will take someone as his student and prepare him on the secrets of his success. So far he has only trained 3 people as he rejects almost everyone who requests his help. No one knows really what gives him reason to turn away so many potential slaves as he would have acquired a great number of obedient servants by now. Cyprus needs help getting there as the journey is long and too dangerous for just him. Although he is quick, nimble, and deceptive, there are times when combat is inevitable. So he cautiously shops for a group of people who will not be tempted to turn him in to claim the reward money that is on his head. This has proven to be extremely difficult as greed trumps loyalty in this world. Another goal he would like to achieve in life is to get rid of his real father. His so-called foster father was killed years ago, the land seized by another, more powerful kingdom. Cyprus has moments of solitude where the interest of his devil father, Nygoz, grows bored of his son’s life and retreats to the darker parts of Hell. But Cyprus blames all of his bad luck and poor decisions on Nygoz, heavily influenced by the devil’s blood that flows within his veins. He searches in hopes of finding someone either powerful enough or wise enough to shed light on the means to rid him of his curse. He carries with him a few things. A crowbar, some chalk, a hand mirror, 50 feet of twine, a trowel, three hollow needles, several jars of mild toxins, and a few lock picks. The rest of his arsenal varies from time to time. Sometimes he carries a stiletto dagger. Other times he wields a mace or short bow until his arrows break. When it comes to traps, his skills fluctuate in level. He shines brightest when he tackles any form of mechanical trap such as a spring-loaded dart or gas trap. However, more natural traps such as pitfalls and ceiling failures give him considerable trouble as he cannot spot them quick enough. He has never had a sixth sense for them, and he often finds himself at the bottom of a pit or under a pile of rocks, leaving him with broken bones and cut appendages. His social skills have been stellar for years as he has to fool the most suspicious individuals. Masking new faces, adjusting his pitch and tone of his voice, and giving new personalities with each city he travels, his very life depends on the ability to fool others into believing he is not Cyprus Beezlbub. When this fails, he is forced to eliminate the chance of that knowledge spreading. Although it is not pleasant nor has it occurred frequently, he has had to terminate the lives of innocents who learned of his identity and posed as a threat. Generally speaking most innocent people who might discover his true name won’t care and soon forget they even met him. He has trouble passing up a challenge, especially if it is a duel or a fight. This always leads to the best chance for him to be arrested by authorities, which forces him to pull all of his tricks to escape before they arrive. Most likely the fights are started by others as he keeps to himself. Despite having a sharp wit and quick tongue, when it comes to comebacks from insults, he has never mastered the art. In fact, it always causes those who hear it burst into laughter from the hilarity. That gets me started with a solid character. Cyprus has an unusually dark past with his real father, two long-term goals to become a master thief and eliminate his annoying father, and he has an assortment of behaviors to play off for roleplaying such as allergies and a sweet tooth. He adds tension and excitement not just to his character but to any group he is a part of because of all the warrants and bounties on his head. It will give plenty of obstacles for the group to overcome even by doing mundane things such as entering town to sleep for the night. Once he succeeds in his mastery as a thief, the character will be forfeited for a year while he pays his services. 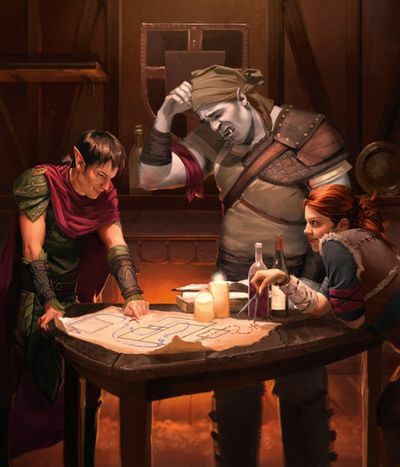 In that time, I’ll have to choose another character to fill in, perhaps an NPC that has been following the group, or perhaps Cyprus’ father, Nygoz, as I develop the situation with him, revealing to the party why this devil is particularly interested in keeping track of his son…. You’ll find it here, no doubt, but you’ll always pay more than what you are willing to get it. The misfits of Dead Rock are there to gain whatever you are willing to give them. They know you’re at a disadvantage being so far from Longsea Port. But today you are luckier as the pirate residents have much more troubles on their hand and forget the usual high prices offered for their wares and services. A thick fog has settled down through the buildings overlooking the rocky bay for weeks, bringing with it a danger from within that has steadily taken the lives of many people. No trails, no sign of where they go can be found. And even the heartiest people have lost a little of their nerve earlier this week when several chime bells went missing from the Chapel of the Mistress, which is a key warning system both for approaching ships as well as attacks from the nearby woods. Trouble continues to stir from within as tremors have brought concern of an upcoming landslide that would send the cliff community into the icy waters below. It would seem the years of sinful life for the residents of Dead Rock have caught up to them. Note: This article was heavily inspired by Creighton Broadhurst’s blog. 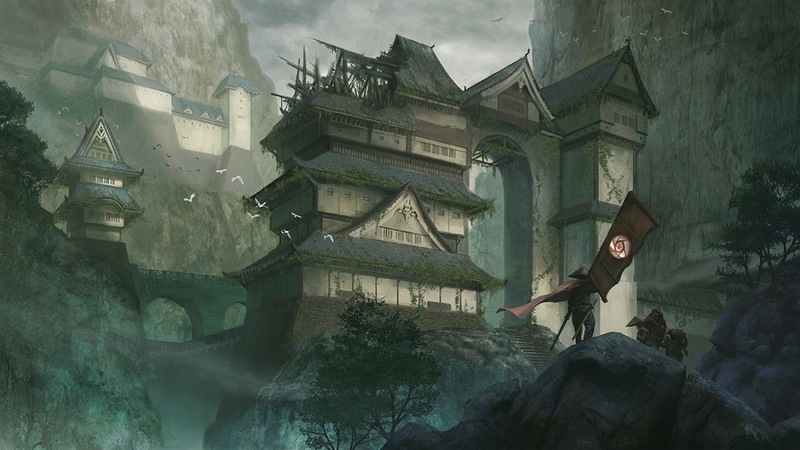 His article talks about the cliff village of Coldwater, which is a part of his Duchy of Ashlar mini-campaign. A full arrangement of blogs regarding the setting can be found here. BACKGROUND: Anymore these days, I only get a chance to run an RPG during the one or two conventions I attend each year or during the holidays when I visit my family. At most, I’ll run perhaps 6 games. I spend more time on each one than I normally would because of the lack of games I run. The Fourth of July holiday is coming up in a couple of weeks, and I have been toying around with a one-shot adventure for my two uncles when I see them. I came across a blog by Creighton a few days ago, and one of the village settings he had created struck me as a great anchor point for an adventure. Of course, I enjoy adding more of my own flair to existing work unless I’m just hard pressed to run something right now. INTRODUCTION: Dead Rock is a pirate village that overlooks the Long Sea. It’s the last port you pass before venturing across the huge bay and reach Longsea Port. 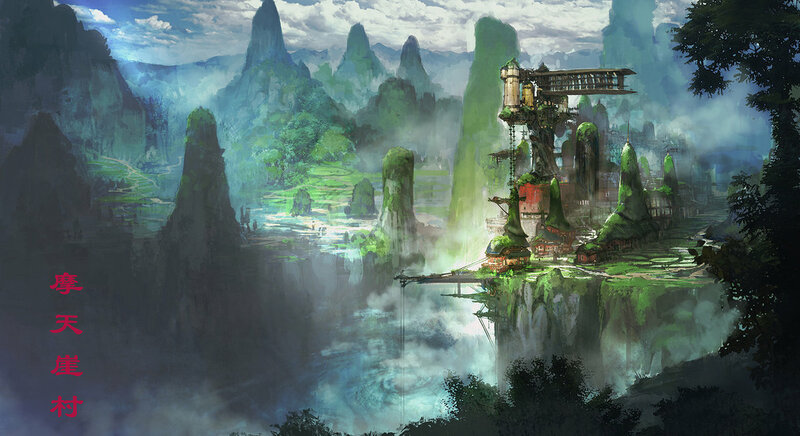 It’s not an ideal location because of the rocky terrain surrounding the area, much of which is a hundred or so feet above sea level, but it is ideal for defensive purposes. The defenses were given an upgrade after pirates overtook the town 5 years ago with a few ship cannons. The only two means of accessing the village from the ocean waters is either by using one of the cranes used for lowering cargo or newly built ships or by a steep and slippery staircase that was carved into the cliff’s face decades ago. The latter is only accessible during low tide, however. Because of the high cliff, Dead Rock has essentially become 2 towns. Beside the original village that is perched at the top, a large cave big enough for a large warship to enter was created at the base. Two rows of buildings of shops and homes line the wall of the cave with a dock following along. Several smaller ships can dock inside if they wish to have some protection from the elements outside or if the main dock outside is full. An unwritten law for Dead Rock is that the biggest ship gets priority on location. This may result in disgruntled sailors having to stop unloading or loading their cargo in order to relocate their ship outside of the cave to give way for a mightier vessel. Although this has led to a few fights and one battle, for the most part the law is honored among everyone. The town is mostly inhabited by pirates, ex-pirates, or retired pirates. This leads to a more sinful lifestyle in Dead Rock where alcohol, gambling, and trickery can run rampant. 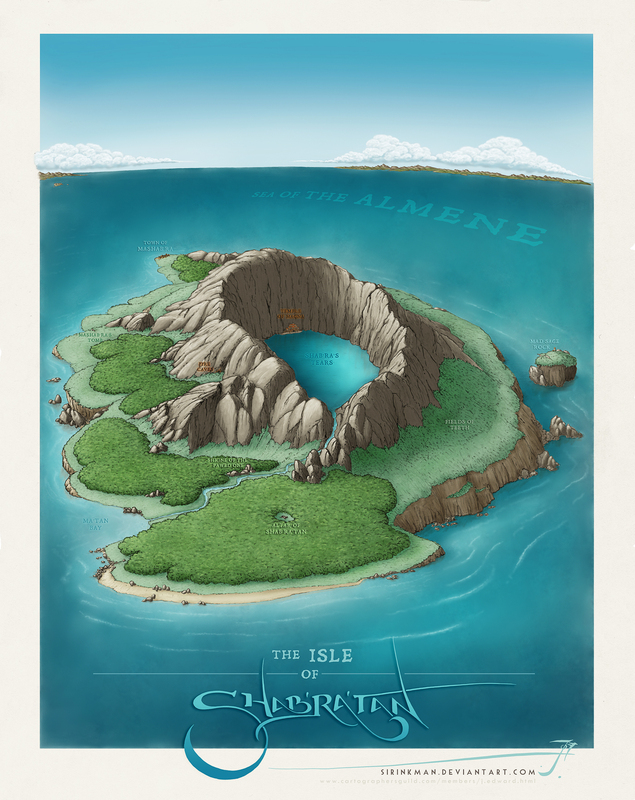 One sanctuary stands as the Chapel of the Mistress, dedicated to Serat, the goddess of the sea. Instead of a lighthouse, which is found in Longsea Port, the village uses special chiming bells from the chapel to guide ships inward. These enchanting bells are capable of piercing even the loudest storms and crashing waves. They can also be used in times of danger by an invading fleet, a raiding party, or beasts from the nearby forest. Recently, several of these bells have gone missing. No real investigation has begun as authority in the town is in name only, a burgomaster named Pietyr Klovsky, although he will tell anyone who asks that he believes it was a local resident causing mischief. In reality, the missing bells are connected to a potentially catastrophic situation. A coven of mind flayers has reached the forest that outskirt Dead Rock. They were attracted to the seductive humming of a slumbering creature below the rock, Cthulhu. No resident above in Dead Rock knows of the sleeping cosmic creature for it has been dormant for thousands of millennia. Although it may be a feeble attempt, the mind flayers are hoping to awaken the creature and bring forth several generations of chaos and turmoil in the world. Because of their hyper sensitive psychic powers, the sound of the bells and their magically echoing reverberation had been giving them painful mental aches and breaking their concentration on their ritual. They were able to remove most of the bells before having to retreat into the woods, which dampened the sound enough to tolerate though they plan on returning for the rest soon. Meanwhile, a mysterious fog has settled around the upper cliff, enveloping the town in an extremely thick fog, giving visibility to only a few feet at a time. It has remained for weeks, and rope has been used to attach buildings together in order for people to not get lost as they go about their daily lives. However, the mind flayers have taken advantage of the fog to feed upon the citizens. The missing people have baffled everyone as there are no signs of the whereabouts of the victims anywhere. GETTING THE PLAYERS INVOLVED: The players are members or passengers on a ship that must dock in Dead Rock for emergency repairs. 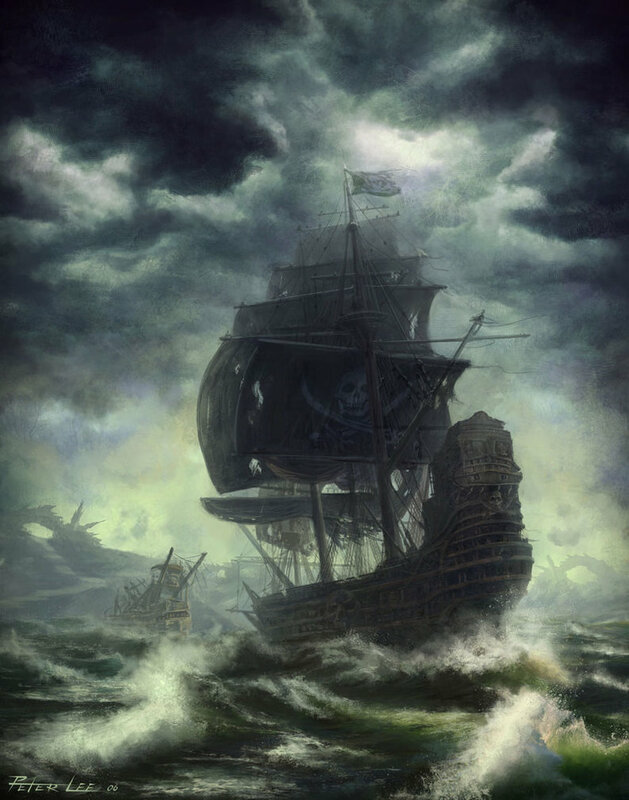 While enroute to Longsea Port, their vessel was attacked by a kraken, which the crew was visibly disturbed as the creature is unheard of in these shallow waters. It was sent away by the bravery of the ship’s crew, but the captain feels his vessel is incapable of taking on the treacherous waters of the bay. 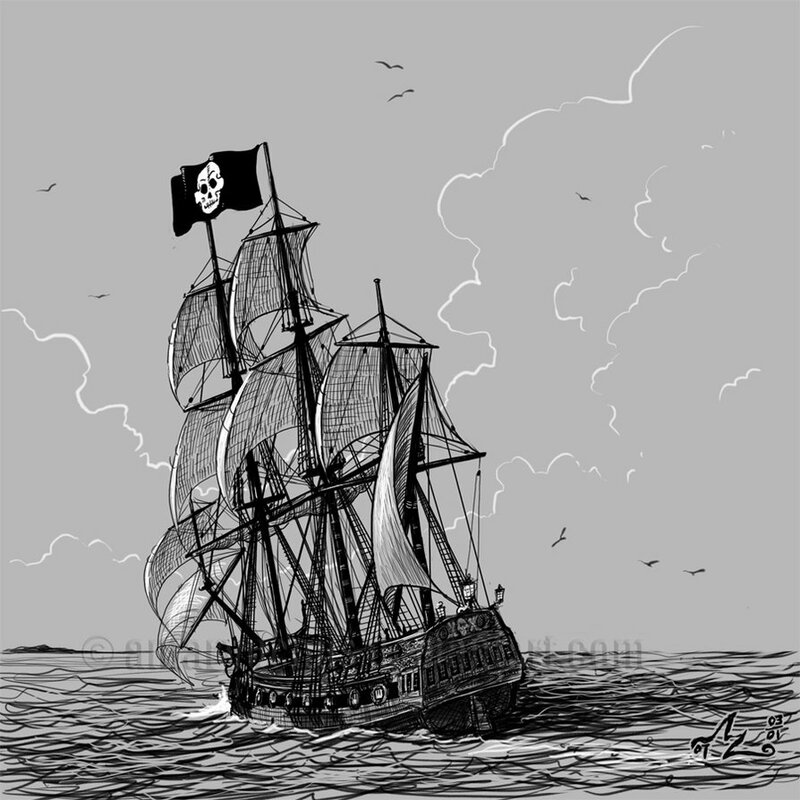 The players’ ship is a larger galleon, so they are able to dock within the Devil’s Cove, the name given to Dead Rock’s cave. The captain gives warning that shore leave is granted but all will be left behind if not back the morning of the third day. 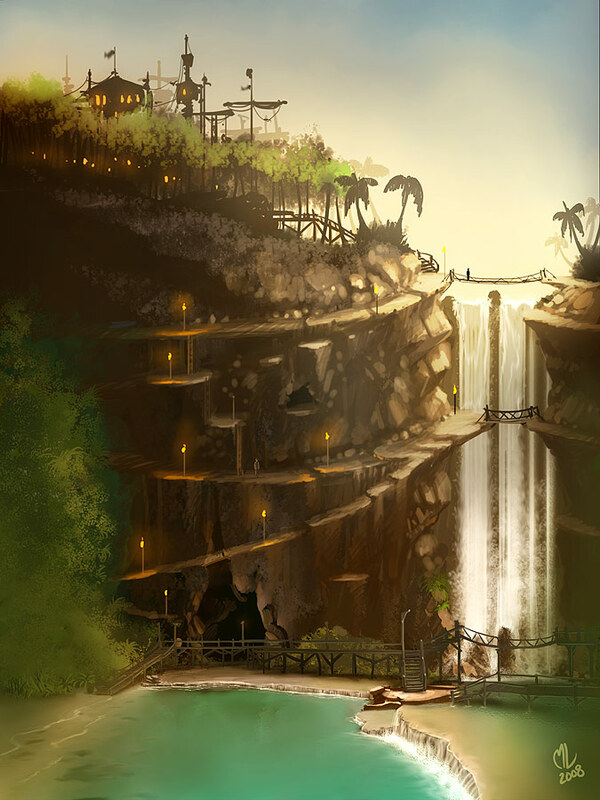 When the players make it to the top via one of the cranes (water is in high tide so the stairs are inaccessible), they will begin to experience the foreboding of the village. To them, it is clear the place is cursed and forsaken by the gods. A religious crier will be heard somewhere in the fog of the sinful lives that have caught up to Dead Rock and how the gods have forsaken the land because of it. They will bump into many people as they use the rope to get to various places. Signs dangle from rope intersections guiding patrons to the tavern, the chapel, the burgomaster, or other key points. They will learn of the town’s turmoil in the tavern or if they decide to enter a store. KEY EVENTS & ENCOUNTERS: Initially the bells will be the most likely problem to be solved as the disappearances of people has no leads or clues. They are able to investigate the bells and find some clues. First, the cords that held the bells have a strange residue on them almost like an ooze that is warm to the touch. There is a faint trace of an acrid smell that leads out of the bell tower at the top and onto the roof where a piece of strange fabric is snagged on a roof tile. The fabric shimmers in a light source with the hint of purple. The chapel is beside the forest line as well. Searching the forest, they will come across a pit of snakes that are on top of the bodies from the village that the mind flayers killed. 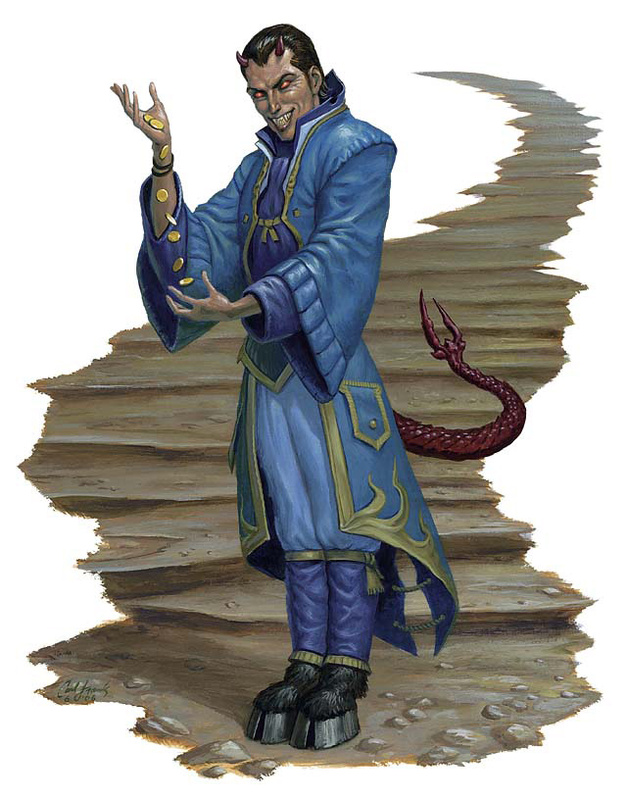 The coven of mind flayers have built a large one-room cave at the base of the pit where they are practicing their ritual. The players will be able to make out a light at the bottom, but they will have to find a way to get past the snaked as they are venomous. Once they kill the mind flayers, they will discover the ritual and even have the instructions written in a language they somewhat can understand if they wish to turn sinister. However, the slumbering Cthulhu is slowly awaking by itself. The ritual would only bring it sooner. The tremors are gradually increasing due to the long process. There is a seemingly impenetrable door at the base of the stair leading down the cliff that is exposed during low-tide at night. The door may be opened several ways. The mind flayers have a diagram and chalk that can be drawn onto the door then perform the awakening ritual. The players will have an hour to search beyond the door if they wish to put the beast back to slumbering for a thousand years. The Chapel of the Mistress has a back room filled with musical sheets that are fed into the machine that plays the bells. One of the sheets is entitled “Asperio Opus.” It is found in a glass display that has been locked for generations. Those with the proper ancient language knowledge or a linguistic skill will know asperio means “open” which, when played, will cause the doors to breach open. The doors will never open by force. Once open, the stairs lead deep under the ocean, the ceiling of the tunnel leaking wickedly from the pressure of water above. The tunnel leads eventually to a ledge overlooking a a colossal chamber that is even deeper. Like a statue, perfectly motionless, stands a creature of worldly size, far beyond any creature known on the planet. It softly is breathing through gills behind a series of tentacles that make up its mouth. Close observation will notice the eyelids are ever so slowly opening, slower than a minute hand, but enough to see motion. 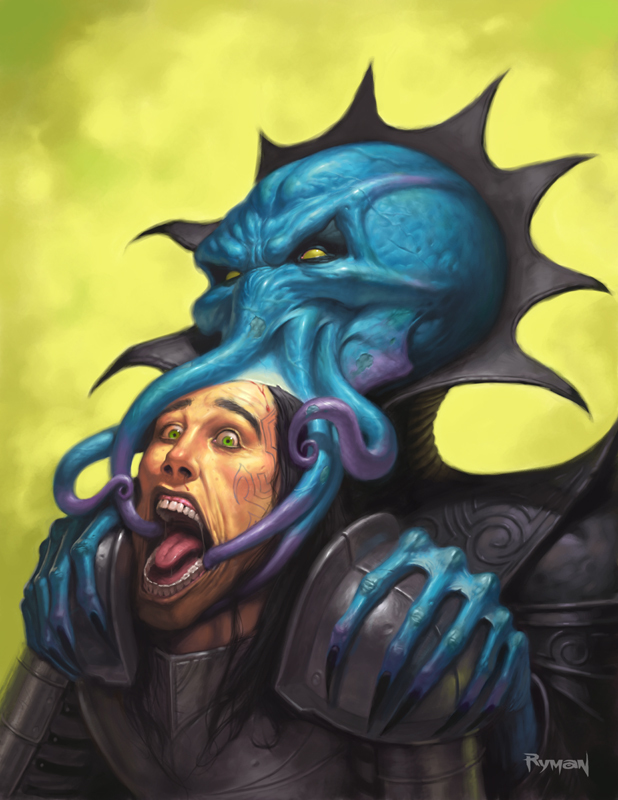 SOLUTIONS: The players’ goals are to stop the mind flayers from killing the villagers, return the bells to the chapel, and make sure Cthulhu does not awaken. The latter can be done several ways. In a discarded building in Dead Rock, forgotten tomes from the original village before the pirates pillaged the place can be found. These books, mostly charred and unreadable, contain the history of the village as the inhabitants were well aware of Cthulhu sleeping below them (after they had settled for decades). 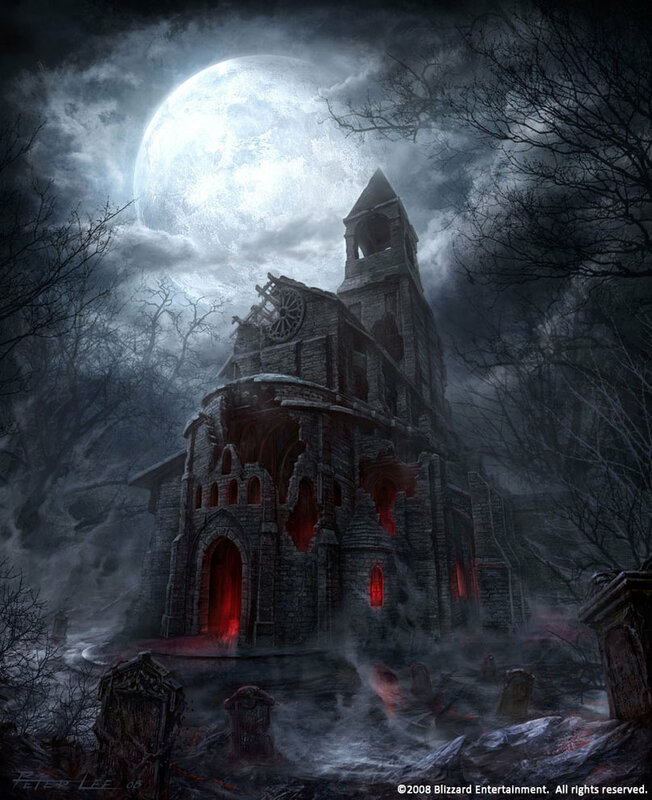 The chapel was once devoted to Nor, a devoted god of protection, who kept the creature from awakening. If the threat of Cthulhu awakening grew too much, another method the villagers once did was sing a lullaby as a collective group (i.e. everyone had to participate). The lullaby sounds more like a gothic chant ceremony. Finally, if all else failed, as a last resort, they could flood the tunnels by opening the doors and allowing the high tide ocean to pour in. The doors would not be able to remain open for long because the exposure of the environment would cause the creature to stir. The flood would only last for a century or so as the chamber slowly drains water further down into the planet’s crust. REWARDS: If the mind flayers are eliminated, the bodies returned for proper burial along with the missing bells, the pirates of Dead Rock sing songs of the players each night for a year and provide them with a vessel of their own. If they put Cthulhu back to sleep and stopping the tremors as well, they are also granted access into the Vault down below in the cave where a small group of wealthy retired pirates store their career earnings, individually isolated between the families in locked chambers within. EDIT: A few ideas that came to me after re-reading the article. The forest would be a good opportunity for a random encounter to increase the amount of combat in the adventure. Adding a skirmish fight with some pirates in Dead Rock would also add to the encounters. Perhaps in the forest, a jaguar could ambush them on their way to the pit. Also, while they are searching through the musical scrolls in the chapel, to allow the players to connect the scroll to opening the door at the bottom of the stairs, the scroll case it is in should have an image of the cliff with the stairs on it leading to a door at the bottom, but have it draw in high tide, showing the door completely underwater. This should give them an understanding of what it might do. Otherwise, they play the song and nothing noticeable will occur while in the chapel.